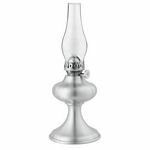 This fine replica of an antique oil burner has all of the original style and quality of the popular, old Queen Anne. 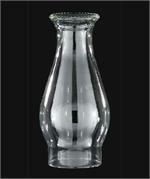 3 inch by 8 1/4 inch and 3 3/4 inch bulge Clear beaded-top chimney for #2 oil lamp burner & 3" Galleries. 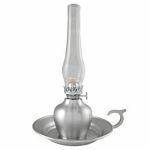 Glass Chimney for use with Queen Ann burners. 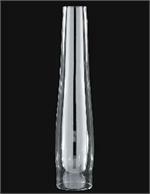 #14 Kosmos Burner. 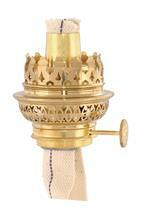 High quality, solid brass oil burner made to fit most French banquet lamps with 1 1/2" I.D. collars. 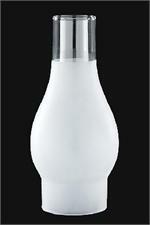 Comes with a large double stitched wick and fits French banquet lamps with a 1 1/2" dia. collar. Accepts a 2" base chimney.